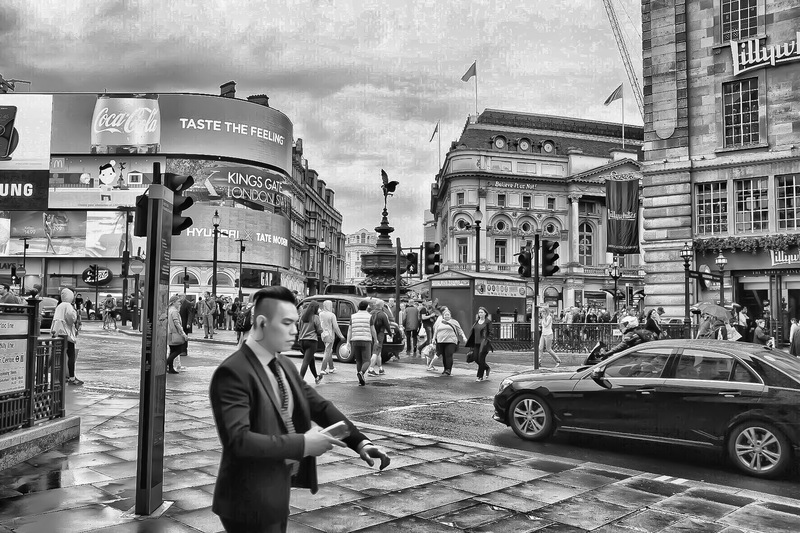 Taken with my new ‘baby’ a Fuji X100T, the original was beautiful in itself but I wanted to give it one of my chrome looks, this was shot from the hip in Piccadilly Circus in rush hour, a very hot day yet it was raining. This looks like an old pic but has the modern screens and cars to contrast with it. I also like the guy in the front, he was rushing and checking the time on his watch constantly despite holding his phone, another contradiction. More to come from the Fuji, it’s a rather lovely beast, retro in look but modern in its functions.